Today we welcome 36 new members into our 1199 family after a unanimous vote to join our union. The CNAs and housekeeping staff at the Hope Center for HIV and Nursing Care won their union vote by a resounding 36-0. 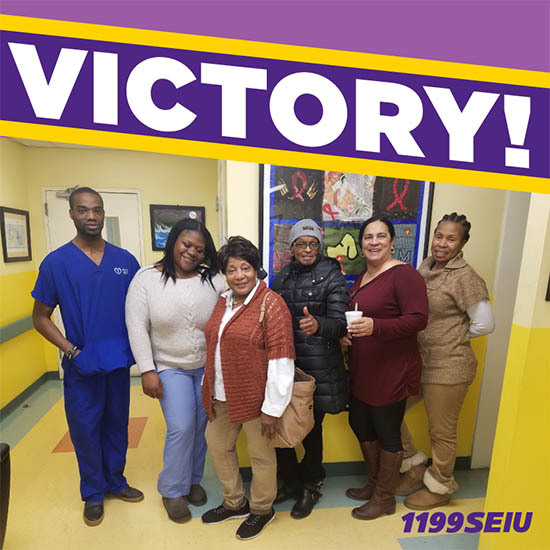 As well as having a larger say in their working lives, the newest members at the Hope Center voted to join our union for 1199’s pension, job security, affordable quality healthcare and educational benefits.